The Grades tool allows you to review grades and feedback from assessments. In order to access and view our grades for a course, select that course. 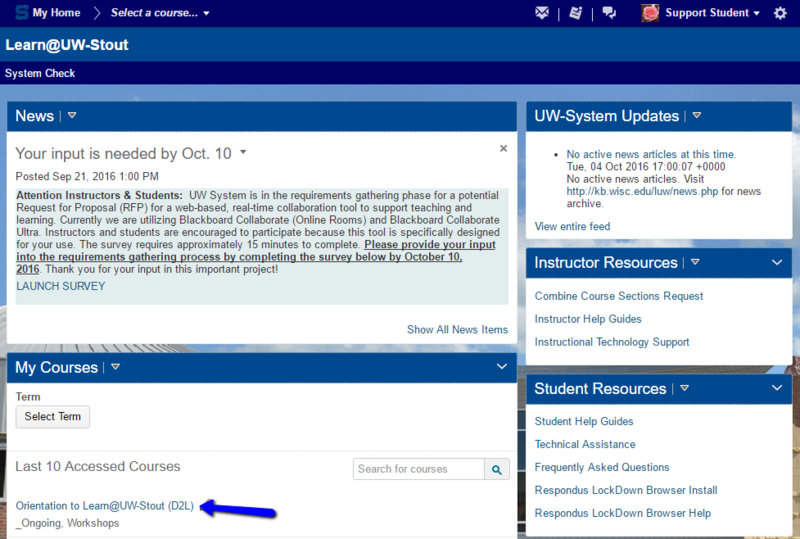 Once you have entered the course, select the grades icon on the navigation bar. That will bring you to the grades page. The amount and variety of grade information available for your viewing varies depending on what the instructor chooses to show. The grade view may include the points earned on a specific assignment, the percentage correct, the letter grade associated with that, or any combination of the three. If an instructor uses a weighted grade scale, a "Weight Achieved" column will be visible. 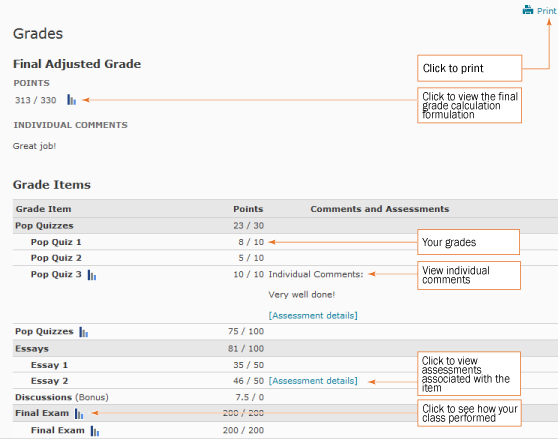 If there is any instructor feedback for an assignment or quiz grade it can be accessed in the grade tool as well. The feedback will automatically be shown below the grade item. Rubrics for assignments may be accessed by selecting the "Assignment Details" option if it is made available by the instructor. Class Statistics include information such as class average and the grade distribution. If made available, class statistics will be displayed as three blue bars and can be accessed by selecting the three bar icon. Some instructors may choose to display your final grade. This allows you to see your overall grade in the course and the grade calculation. The grade calculation can be viewed by selecting the three bar icon.